Our line of ACE (Always Combat Effective) inside-the-waistband holsters provides the perfect combination of comfort and rapid deployment for concealed carry. Our holsters are designed to allow the shooter to get a full shooting grip on the gun while it is holstered. This ensures that the second the gun is out, it's ready for action. 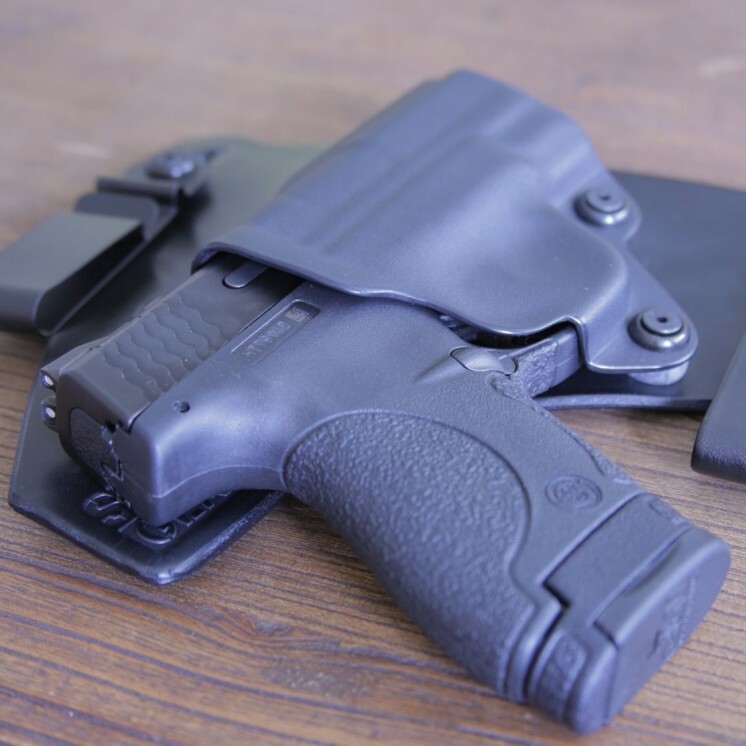 Our second generation ACE-1 holster sets a new standard for comfort and concealment. The new ACE-1 Gen 2 holster includes our proprietary Comfort Curve: a unique feature developed over months of testing that provides superior comfort. 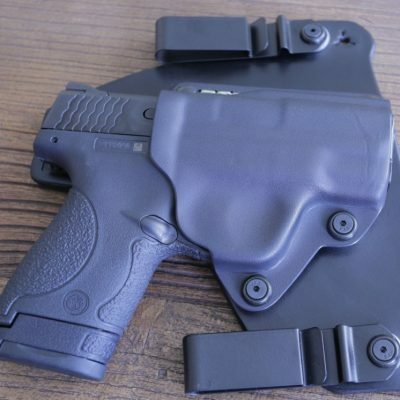 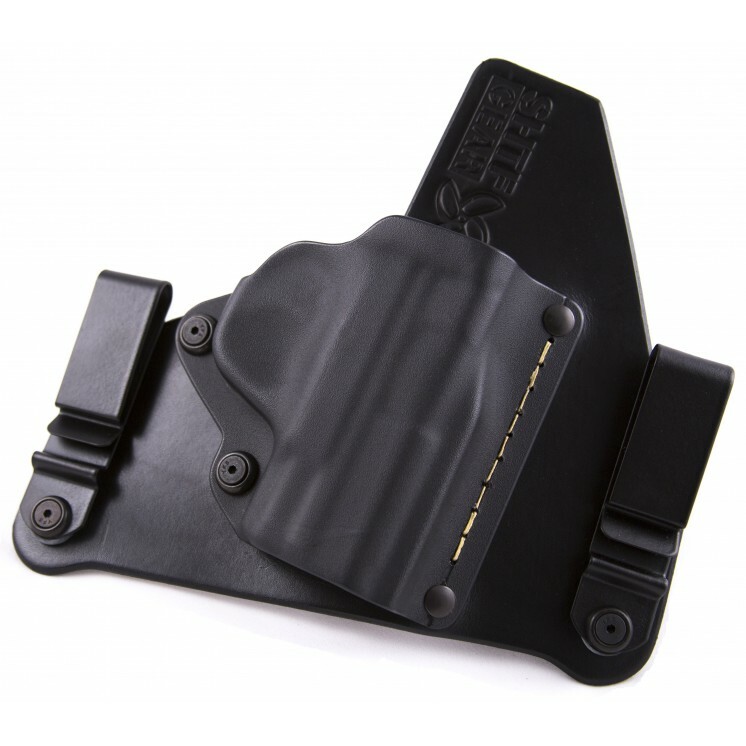 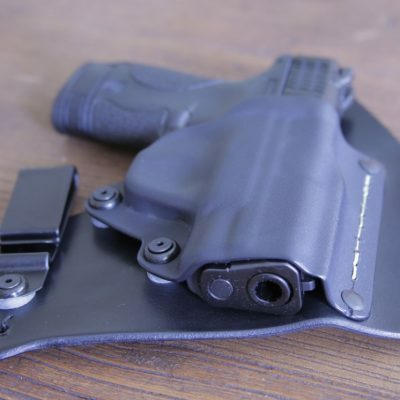 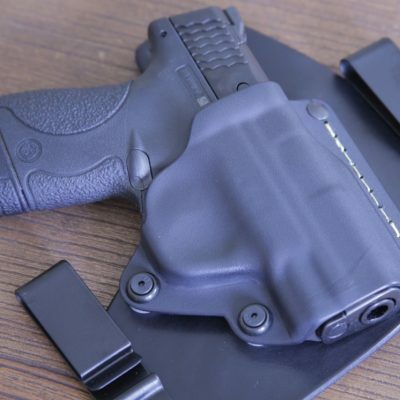 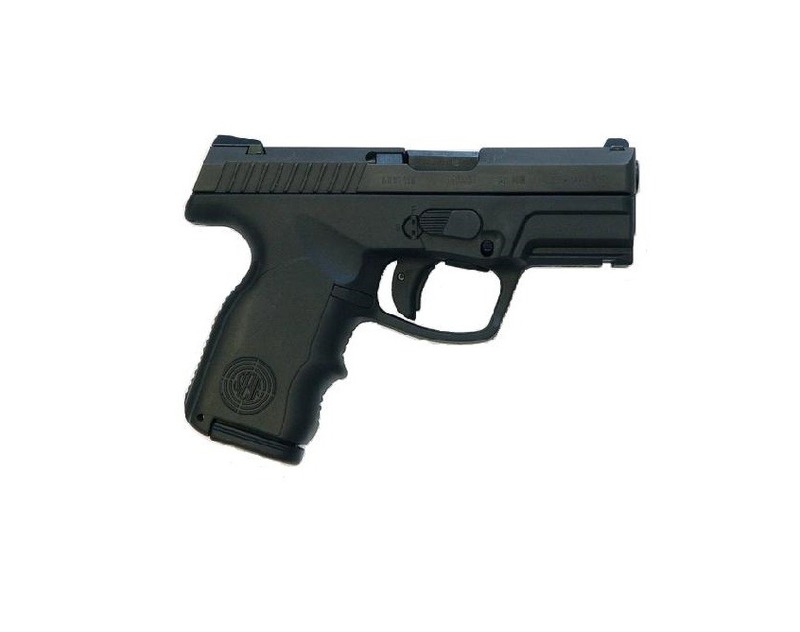 This is achieved by molding the Kydex so that it creates a curve in the back of the holster. All previous hybrid holsters formed Kydex on a flat surface; this style of forming creates a rigid, flat back to the holster. 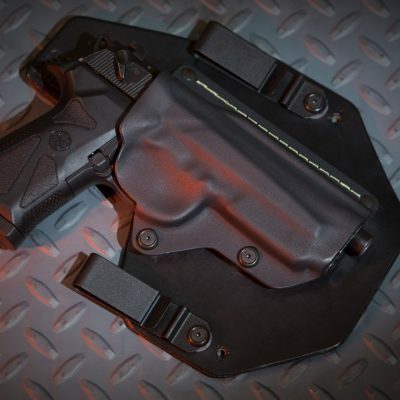 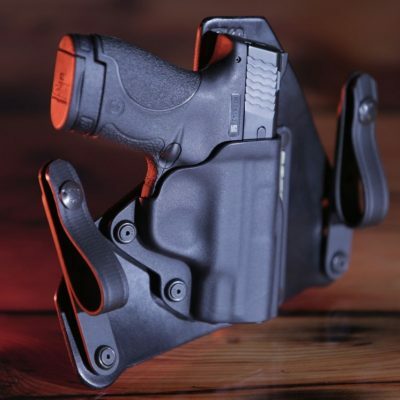 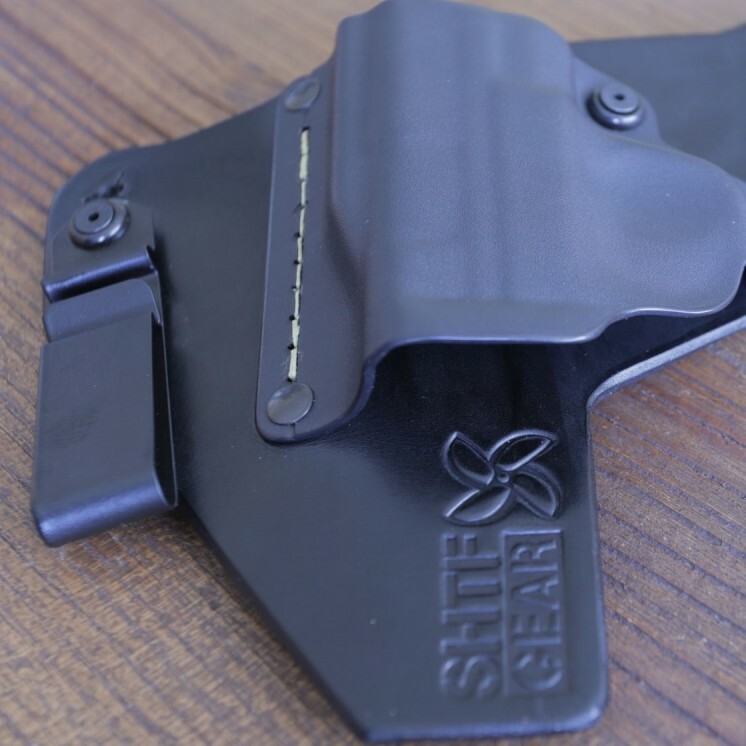 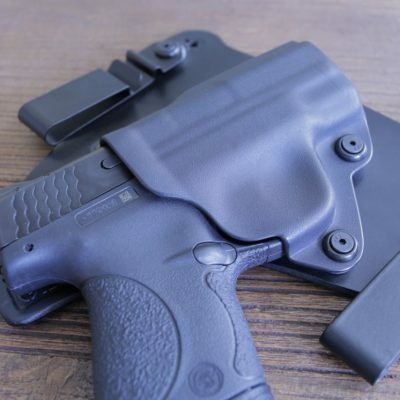 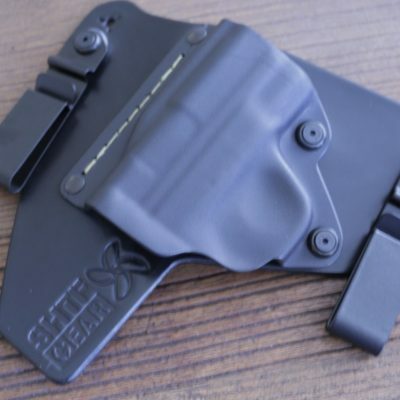 The Comfort Curve bends the forward edge of the Kydex allowing the holster to fit the body more closely, increasing comfort and bringing the grip closer to the body for better concealment. 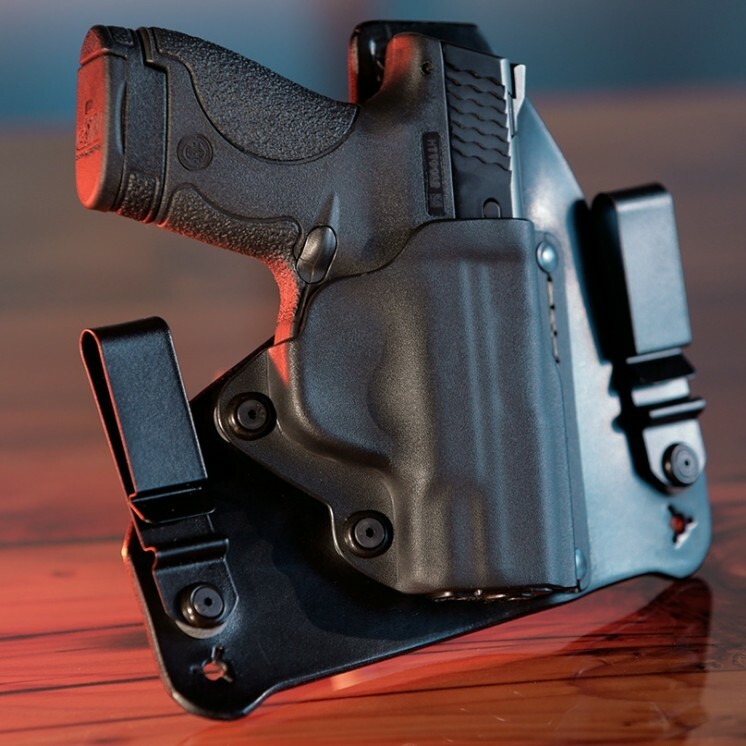 Other new features of the ACE-1 Gen 2 include user-adjustable retention for greater reliability, thicker Kydex for maximum durability, increased Kydex coverage for a more secure fit, higher density rolled-leather for improved wear, and a flared opening for easier holstering. 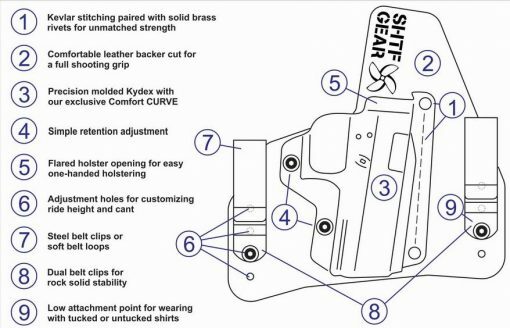 We’ve managed to include all of these new features in the ACE-1 Gen 2 holster and yet keep the price the same as our original ACE-1: only $59.95. 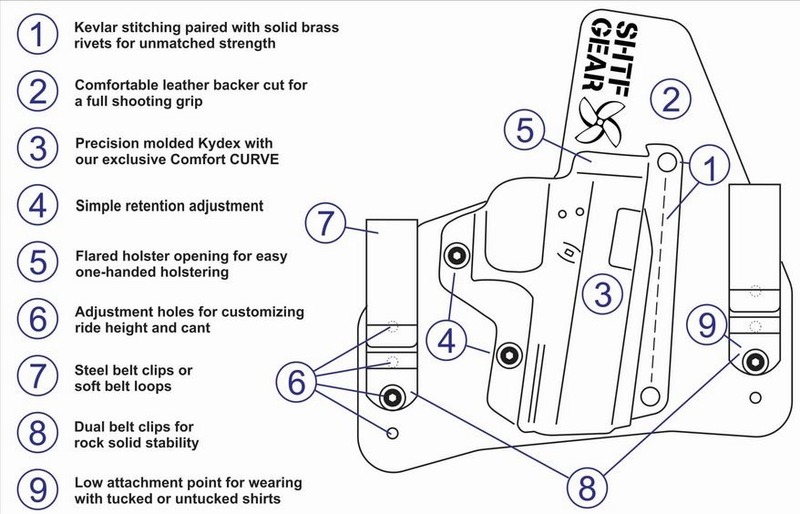 While this second generation holster offers several design changes, it maintains all of the unique features that made the original ACE-1 a leading hybrid holster: durable Kevlar® stitching, precision-formed Kydex, premium American leather, beveled edges, adjustable carry height and cant, sweat guard cut for a full grip, and availability for over 200 different handguns.